I’ve been meaning to write about this for two weeks, but just haven’t found the time. You might remember a story that popped up a year or so ago that busy body whack jobs in Arlington County, Virginia were trying to prevent a gun shop from opening up there. 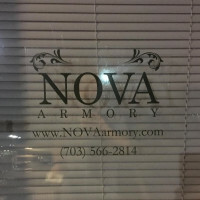 The shop, Nova Armory, managed to open, but not until after the crazies managed to get a few state reps to use their offices to attempt to intimidate the landlord into cancelling the lease. A few weeks ago, Nova Armory filed a suit, arguing that there was a Conspiracy to Injure Another in His Trade or Business. This is now relevant again, because as Miguel reports, the busy bodies are busy getting the county to revoke Nova Armory’s Certificate of Occupancy at a hearing tonight. If you live in Arlington County, now is a good chance to go stand up to these whack jobs. A lot of folks on our side incorrectly speak of using civil rights laws to shut down what is mere advocacy, but in this case, by using State Legislators and County Government to attempt to shut down Nova Armory’s business, they have actually taken measures to deprive Nova Armory of their Second and 14th Amendment rights. Absolutely if this were happening because residents of Arlington County didn’t want a Black-owned business opening, and engaged in a conspiracy to take actual measures to shut it down, that business owner would have a case. This is no different. 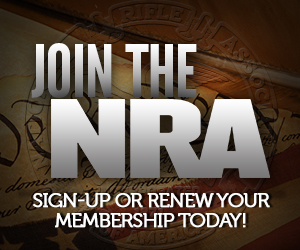 The Second Amendment right to keep and bear arms is necessarily the right to buy, sell, and trade in arms as well. Granted, Heller lit the way for government to regulate arms sales with that infamous clause we’re all too familiar with, “The Court’s opinion should not be taken to cast doubt on … laws imposing conditions and qualifications on the commercial sale of arms.” But this is going much farther than regulation. In this case, they are not imposing conditions or qualifications, but arguing that no gun store may operate in Arlington County, and they’ll act extra-legally if need be to ensure it doesn’t happen. The Fourth Circuit Court of Appeals, in which Virginia resides, has been more friendly to a lot of Second Amendment claims than others. I’d say dragging these fiends into federal court is worth a shot. You can’t negotiate with people who do things like this. You just have to hit back and hit back hard. At this point, the process is as much the punishment as the desired end result. The thing is, so long as the General Assembly is in session, the legislators are immune from criminal prosecution, generally. All the legislators who tried to strong arm are almost certainly immune for their part. The council members though may not be but here’s the thing, they won’t pay a cent, even their court costs will be borne by the locality in the best possible outcome. Have you actually read the 4th US Circus opinions? This was a die hard collective rights circus, and remains so to this day, Heller be damned. Masciandaro for one. Gun owners don’t want any case in the 4th Circus because we will lose and lose big. surely, what happened here is smarmy, sordid, sleazy and there are some genuinely bad actors opposing Nova Armory. As to whether they went beyond what is allowed, it’s really tough to say. I’d love to see these jokers get their come uppins but I’m not holding my breath. The Virginia courts are not about justice, they’re about just us. and by “us” they mean the government.